Google News employees over the weekend unveiled a new content tag that allows publishers to be feature their “standout” content. Publishers have the option to point within their own stories or point to standout stories located elsewhere. Google points out that since the tag only sits in the HTML header it will not be viewed by readers. To avoid spammed content Google is only allowing the “standout” tag to be used seven times each week and they are not guaranteeing that standout content will be featured on Google News pages. 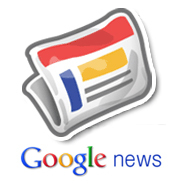 Give Google News “Standout” a try and let us know what you think about the new meta tag.